Future interest rate rises could double the number of families being pushed into ‘perilous’ levels of debt, according to a new report from the Resolution Foundation. Analysis of the Living Costs and Food Survey and the Department for Work and Pensions’ Households Below Average Income data reveals that four years of interest rate increases compounded by uneven household income growth will see the number of households in dangerous levels of debt double from 600,000 to 1.2 million. If the worst case scenario was to occur, and interest rates rose to 3.9 per cent by 2017, the foundation predicts that one in 20 households in the UK would be spending at least half of their net income on repayments. Furthermore, 21 per cent of families would be spending at least a quarter of their net income on repayments, taking the number of people in debt past the levels seen before 1997 and the onset of the economic crisis. The number of households deemed to be in “perilous” levels of debt stood at 870,000 in 2007, and although this had fallen to 600,000 in 2011, there is a real possibility this figure would double to 1.2 million, should the worst happen. Though such a situation may seem extreme, it is a distinct possibility. However, the report does also highlight a best case scenario, in which interest rates still rise but to no higher than 1.9 per cent, as the market expects. In this situation, the number of households in perilous debt would still increase, but only to 700,000, providing income growth performs well. 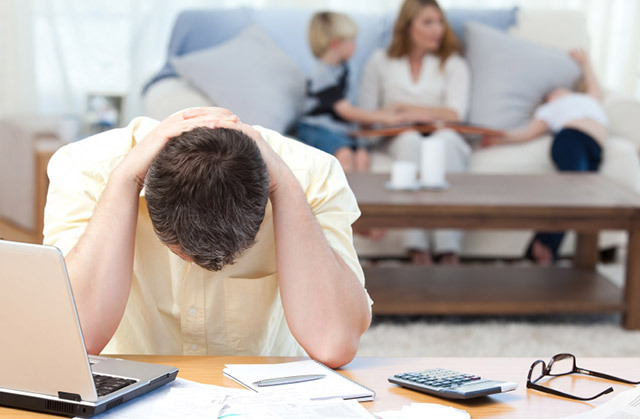 Further analysis revealed that the families with perilous levels of debt are increasingly likely to be those with children – a figure that stands at 38 per cent but would rise to 43 per cent under the worst case scenario. Commenting on the findings, Matthew Whittaker, senior economist at the Resolution Foundation, said the “real prospect” is that a large number of households that are already burdened with debt could “collapse under its weight” if economic conditions were to tighten. “Even if interest rates stay in line with expectations, we are likely to see a rise in the number of families struggling with heavy levels of repayment over the coming years,” he added. As a result, the Resolution Foundation has now called on the government and lenders to use the current period of record low rates to “defuse debt problems”, and avoid storing them up for the future, where they may be exacerbated.